Today, we’re going to look at one of the biggest questions we get sent here at The Social Wrap. How do you get your first followers on social media? Now, I sympathise with this question. And I firmly believe that those first 1,000 are the hardest to find. Once you hit 1,000, the process snowballs a little. We’ll focus mostly on Facebook and Twitter, but the tricks are applicable to all the social sites. Ready to get your socials off the ground? Let’s take a look. We’ll start with a simple and easy option. Start putting links to your social media sites everywhere. The first 100 or so followers should come from your existing connections. In other words, friends, colleagues, or acquaintances. Put links in your email signature, and in all your correspondence. Stick a Facebook ‘like box’ on your website, so visitors can quickly follow your feed. Do the same with the ‘follow’ button for Twitter. If you’re going to hit 1,000 followers, you need to be strict about your social strategy. Social media, like any other marketing strategy, requires goals, plans, and commitment. So, let’s get started by creating a content calendar. What are you going to post, and how often? Start by committing to perhaps two blogs a week to share with your followers. Fill in the gaps by posing questions, posting images and videos, or curating content. The important thing is that you stay active and engaging. This is a strategy that works particularly well on Twitter. In fact, I’d go as far as to say that building 1,000 followers on Twitter is much easier than Facebook. The reason being that most people follow others on Twitter with less resistance than Facebook. Start by following others in your niche. Follow the tastemakers, and identify the most active Twitter users in your sector. Follow them, reply to their tweets, and introduce yourself. It won’t take long to build up those first few exchanges, and your numbers will grow. If you’ve tried some of the above tactics, and progress is slow, you can always bring in help. There are plenty of social media agencies out there with the skills and resources to grow your presence. Take a look at some social media services pricing options, and see what works for you. There’s always a shortcut when it comes to marketing online! However, as always, it costs money. You can skip the slow, laborious process of gathering followers one-by-one with advertising. By using social media adverts, you can quickly drive lots of relevant people to your page. Facebook is well set up for this, and you can target a very particular audience with your ads. Use your best piece of content, and fine tune your ad copy for the best results. Using these tricks and techniques, you’ll land your first 1,000 followers in no time! That’s the hard part over, now for 10,000! Social networking service Twitter has just revamped its homepage in an attempt to attract more non-users to create an account. Twitter has announced in an official blog post that their homepage was getting “refreshed,” implying that they wanted to make it more attractive so that it would convince people to sign up for a new account. Given that Twitter has laid much emphasis on the fact that it became one of the most reliable real-time news search engines, and that it wants to add even more users to the hundreds of millions who already access its service every month, this change was no surprise. Since the old homepage was rather scant in terms of design and even information, many people considered it was about time Twitter came up with an overhaul. The simple background image that was urging users to log in has now turned into a more complex one, which is made up of several categories people can choose from. Based on what they are interested in, Twitter users can now click on a certain category and they will be taken to torrents of tweets related to that particular subject. This way, they can get a closer look at how things work and maybe they will be convinced that a Twitter account is something they absolutely need. Or at least this is what Twitter had in mind when it rolled out the new feature, mainly based on the statistics showing that more than 125 million people visit the homepage every month without signing up for an account, Mashable reports. This impressive number must have been the reason behind Twitter’s decision to take some measures and have some work done on its homepage in order to intrigue curious onlookers by adding some samples of tweets. It has now added categories like Politics, Pop Artists or Cute Animals, with the sole purpose of convincing people that they should sing up in order to enjoy the real-time content. It’s almost as if Twitter were giving them a taste of what they could experience if they decide to get started on the social network. The homepage has been made available for US users only for the time being, but Twitter announced it would gradually roll it out in other countries as well. All businesses around the world operate in different ways and have different objective but, they all have one very important goal in common; ROI. ROI is a question you hear everywhere and almost by everyone; but in different shape and form of course. Businesses adopted almost every new technology and platform to ensure they are seen by their customers and prospects at all times. This is particularly true when it comes to social media. However one thing has remained vague since adoption of social media, in 2009, by businesses; and that is ROI! According to Javier Burón, Founder and CEO of SocialBro, 88% of marketers want to know how to measure ROI of their social media activities. 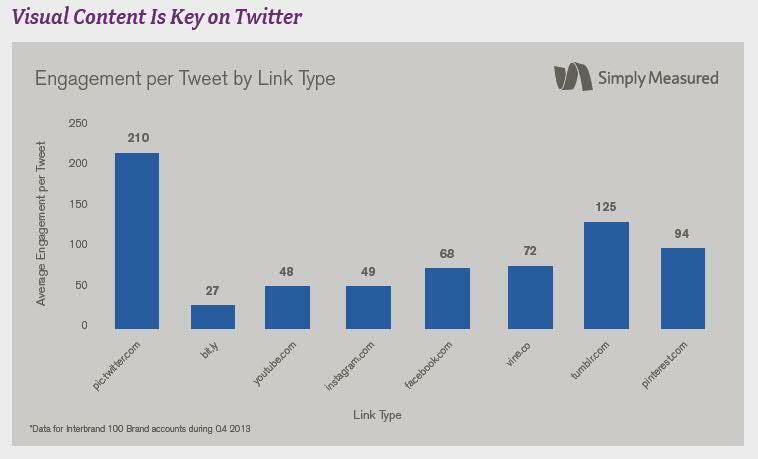 Javier presented an interesting slide in which he broke down different channels (most used by marketers for advertising); and Twitter clearly stands out! As it is evident above, every channel is pushing ROI; and of course deployment of a specific channel would depend on type of business and target audience. Thus, it is critical for businesses and marketers to know their audience well before spending money on any channel; in particular on social media where everything is all about conversation and content. Good social media content has to be a combination of relevancy, reach and quality. Needless to say, no-one can guarantee and even achieve ROI in social media unless they are relevant and meaningful to their audience; which begins with listening. This is possibly why Twitter is constantly improving its usability and accessibility; to be easier for people to use the channel. According to some anecdotal research, well over 65% of Twitter users are more likely to buy from brands they follow. So you can guess what would be the case if brands don’t interact with their followers on Twitter and mobile has a major role in converting Twitter followers to actual business customers. Therefore having an attribution model in place is very important; something can substantially help measuring ROI. So, unlike many brands competing for more followers on Twitter or more likes on Facebook; numbers, including number of posts by brands, are to some large extent irrelevant to success in social media, proactive engagement and meaningful conversations are the way forward. So, don’t worry about ROI, just try to make sense; and remain transparent and authentic at all times. this way people trust you and happily spend their money with you; then ROI in social media will no longer be vague. The social media network that was never meant to be a social network, Twitter, celebrated its eighth birthday in March, 2014. The now microblogging giant has come a long way since co-founder Jack Dorsey’s first tweet, “just setting up my twttr” back on March 21, 2006. It is now a household name, and the favorite network of celebrities and media outlets. Twitter has become the fastest way to break news. We are seeing more television programs display their Twitter handles and relative hashtags. The power of Twitter was witnessed by millions when Ellen DeGeneres tweeted “the best photo ever” at this years Oscars that has garnered over 3.4 million retweets and counting. Twitter went public in November 2013. The much ballyhooed IPO was a big hit as TWTR opened at $26.00 and closed at $44.90 in its first day of trading. Today Twitter trades at $44.60 despite a net loss of $34 million in its most recent quarterly report. While Twitter has become an incredible brand, it must find a way to show profitability in the future. We don’t want the little blue bird to fly away. Here are some Twitter facts and figures that are worth a look. Twitter has become the go-to medium for customers looking to provide feedback or solve problems, brands must adapt their Twitter strategy to better serve their customers. 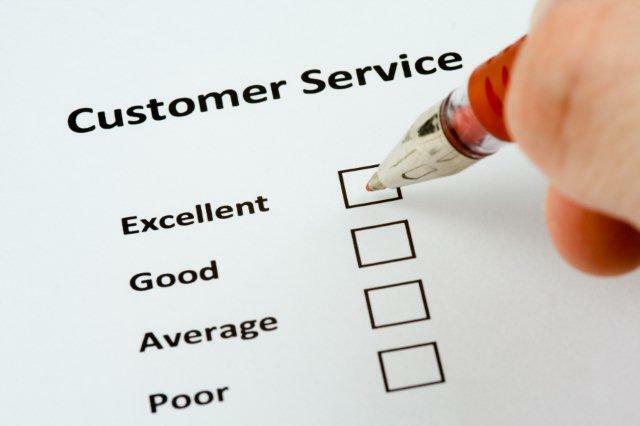 Below you will find a check list that best-in-class brands have adopted to better handle customer service requests and maintain positive sentiment about their brand. Brands who have adopted dedicated customer service handles have an easier time managing customer service requests for both the dedicated handle and for the brand’s main handle. With a dedicated handle, brands can ensure that customer service requests are being taken care of in a manner consistent with the brand’s overall customer retention strategy. A dedicated customer service handle can help your brand separate a wide range of customer service requests from other types of mentions so you can effectively monitor your social customer service process. In addition, it can be a great way to naturally gain followers. Through proactive monitoring and engagement, you have the ability to build positive sentiment around your brand, which will help increase your audience size and encourage engagement. When a customer service handle isn’t staffed the response time increases dramatically while the response rates decrease. Knowing when most of your customer service requests come in via twitter can help you determine the best time to staff your customer service accounts. There are several great tools that can monitor your most active Tweet times. Having responses on-hand can help reduce your response time and help increase response rate, as your customer service representatives have more sophisticated resources available to resolve issues. In addition, outline where you’ll direct different types of customer service requests, whether you ask for more information from your customers, direct them to email, direct them to a webpage, or solve the issue in a direct message. When you’re setting up a dedicated customer service handle, consider where you’ll promote the handle – for example, you may want to link your handle via your customer support page, so that users have a range of options to contact your customer service representatives. You may want to also find a way to link your main handle to your customer service handle (for example, in your brand bio) so that users who visit your profile are aware that you’ve got a dedicated customer service handle. This is one way of letting your followers know that they are important to your business. In addition, it’s a proactive way to address negative word of mouth that may affect the sentiment generated around your brand. Responding to a majority of requests is a great way to keep your followers happy, and engaged. If your brand responds to as many mentions as possible, your users are more likely to mention your brand handle more often, which means your handle has the potential to reach followers who may be outside your reach. Understanding the rules of engagement for customer service on Twitter is a crucial step to managing your overall customer service strategy. As more and more users turn to Twitter to ask questions, give feedback, praise or complain about a brand, brands need to be proactive in managing their brand image – by showing customers that they’re listening, and that they care. Since Twitter is a word-of-mouth platform, these steps are essential for any company looking to increase their business in the digital world. 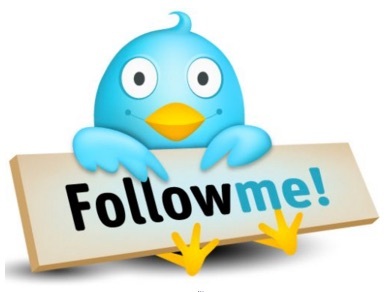 The State of Twitter and 10 Mavericks You Should Absolutely Follow via +Kim Garst on Huffington Post. There are now 241 million active users (MAUs). This is a 30 percent increase year over year! There are 184 million #mobile MAUs; 76 percent of all MAUs are mobile! Timeline views reached 148 BILLION in Q4, a 26 percent increase year over year! Q4 revenue was $243 million, up 116 percent year over year and adjusted full year earnings were $75 million. Plus, in just the last quarter, #Twitter has launched television conversation targeting, tailored audiences, conversation tracking and promoted accounts. So, hopefully I have made my point. I have been and will continue to go ALL IN on Twitter. If you are smart, you might want to give some serious thought to going all in yourself. Who doesn’t love Dr. Suess! Well if you don’t – ah well, there’s other posts you can read here! top link types, it’s no surprise that the highest performing links are pic.twitter.com links, which is Twitter’s image service, and allows photos to display directly in a user’s Twitter feed. Pic.twitter.com links average 210 engagements per Tweet. The next highest performing types are Tumblr.com and Pinterest.com, followed by another Twitter property, Vine.co. Visual content performs well on any network, and with Tumblr, certain types of images are supported by Twitter cards and are natively displayed. Pinterest, on the other hand, is a surprising leader, considering the visual assets don’t display directly in Tweets. Bit.ly links are one of the most common link types, and a default option with Twitter management software like Tweetdeck. The links however, which show no indication of what to expect, are some of the lowest performing links we see large brands using. if you include a link alongside the image, your potential visibility is much higher than average.